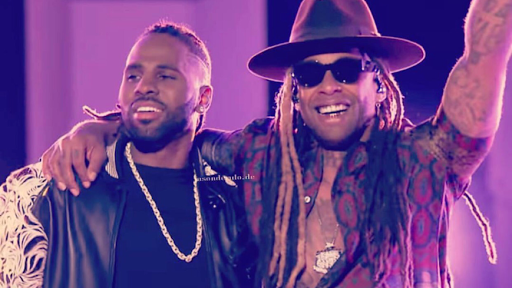 After releasing the music video for "Swalla" about a week ago, Jason Derulo brought the song to the big stage of The Tonight Show. The singer was joined by rapper Ty Dolla $ign for the first live performance of the record for a special edition of the show in Orlando. The duo was joined by a group of dancers who mimicked the music videos choreography. Watch it all unfold below. Unfortunately, Nicki Minaj was not in attendance to deliver her rousing verse & to make up for it Derulo called on a guitarist who brought a different vibe to the song before it all came to an end with fireworks.